1. STOP: do not leave the scene of an accident. Fleeing the scene of an accident can adversely effect you for any claim for compensation your make against ICBC. It can also be considered a criminal offence in certain situations. 2. CALL THE POLICE: regardless of the event of injuries, this will allow you to have a police report number ready for when you call ICBC to report your claim. 3. SWAP INFORMATION: obtain the name, contact information, and driverâ€™s license number from the driver of the vehicle. Also, obtain the license plate number of the vehicles involved in the accident. If the driver is not from BC, make sure you obtain the insurance details from the driver. 4. DOCUMENT THE EVENTS: The police will take a report of the events of the accident. You should also keep a record of the events for yourself while the accident and the events are fresh in your mind. 5. PICTURES: take pictures at the scene of the accident. Take pictures of the damage to your vehicle. If you are unable to take pictures because of a police investigation, be sure to return to the scene of the accident at a later time to do so. 6. WITNESSES: obtain the name and contact information of any witnesses at the scene of the accident. 7. VISIT A DOCTOR: whether the injury is immediately apparent or not. You should seek medical attention as soon as possible. Often a person involved in a car accident will not feel pain until a couple of days following the event. You should seek medical attention as soon as possible to alleviate any concerns. 8. CALL ICBC: you will have to notify ICBC of the accident as soon as possible. Do not sign any authorization forms and notify ICBC that you will consult your lawyer before making a statement. This statement can be used against you if you claim compensation for your injuries. 9. CONTACT YOUR LAWYER: a lawyer will assist you with your claim and make sure you receive adequate and fair compensation for your injuries. ICBC will work hard to ensure they pay you as little as possible. ICBC will often push for an early settlement. Contact us now to ensure you receive the compensation you deserve. 10. STAY ORGANIZED: after an accident make sure you keep receipts for any injury related expense you incur. Also, keep a diary of the pain you are feeling from the injuries suffered from your car accident. When an accident is report ICBC will investigate the accident and determine whether the accident is qualified as Low Velocity Impact (LVI). If ICBC determines a collision is LVI then they may determine that you suffered no compensable injury. It is important to know that ICBCs LVI determination is not the law. 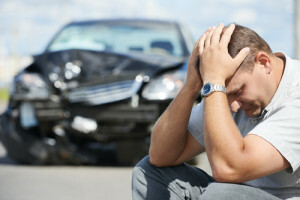 The severity of a car accident will not determine the extent of your injuries. While it may be that a serious car accident causes you serious injuries, this does not mean that you cannot be seriously injured by a minor accident. This determination will have to be made by a doctor. If you are not at fault in a motor vehicle accident that ICBC has classified as LVI, you can still claim compensation for your injuries from the court system. Cases such as Gordon v. Palmer,  B.C.J. No. 474 (S.C.) & Sourisseau v. Peters, 2012 BCSC 1163 show that the courts do not accept ICBCs position that low impact collisions do not cause compensable injuries to a person. The issue will be whether or not a person’s injuries were caused or contributed to by a car accident.